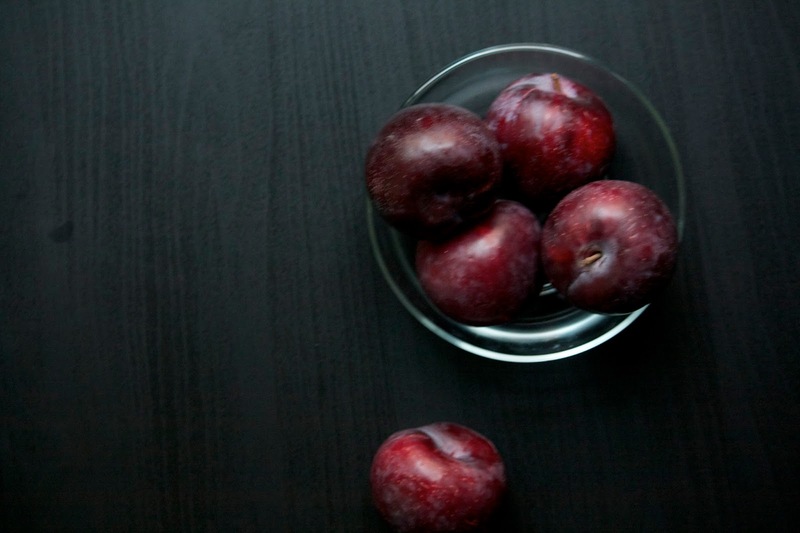 This simple poem is one of William Carlos Williams' most famous works. And with good reason. I have always found it completely delightful and vivid, with just a hint of snark. You can almost taste those chilled plums. You can almost hear Williams laughing at his wife. 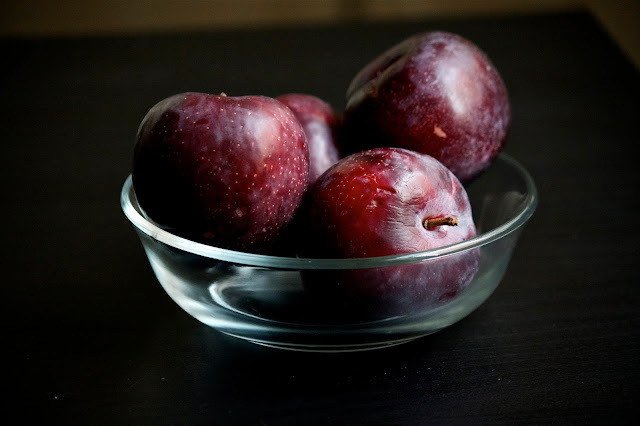 So for this passive-aggressive poem, I bought a bunch of plums (they're also in season) and placed them in the fridge. Then I had a still-life photoshoot. Fruit is wonderful to photograph, isn't it? 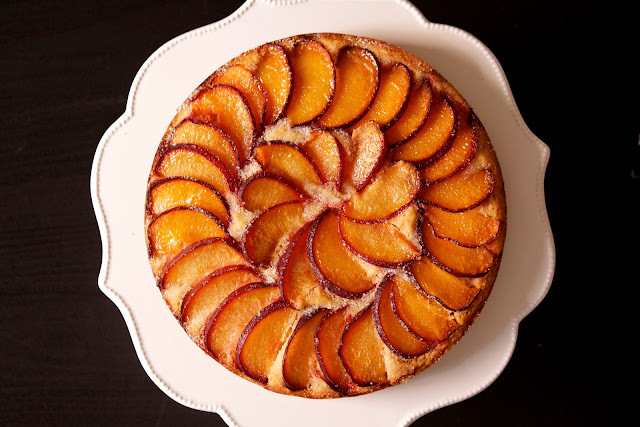 Anyway, with all the fresh plums, I wanted to make a simple cake that is unique and highlights the plums' beautiful colors. 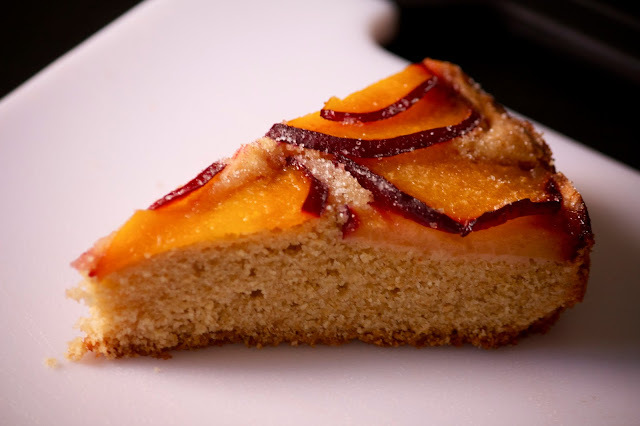 New York Times writer Martha Rose Shulman created this Olive Oil Plum cake. 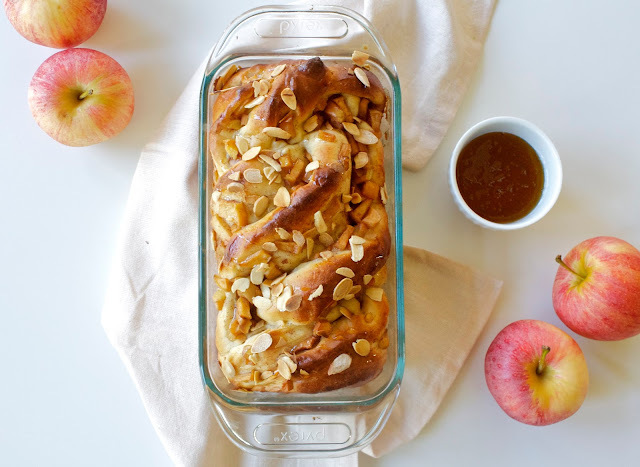 Whole wheat, savory, yet with the sweetness from the plums. It sounded perfect. Plus, the colors reminded me of the changing leaves (it's fall btw). This is one of the few cakes that I've made by weighing only. Weighing ingredients saves a little bit of time and is meant to be more accurate. But is it better? The results were inconclusive. I had trouble getting the sugar on top to melt, so I accidentally left the cake in too long and ended up with a very dry crumb. But this was not the recipe's fault, but my own. The olive oil flavoring is strange and strong; you have to expect a savory cake, not sweet. I myself am a fan of them (apparently, so are the French). 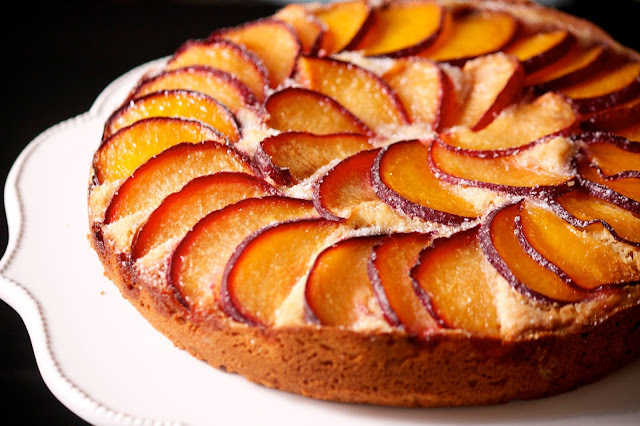 If you want sweet, though, just make a regular vanilla sponge, and add the plums. This reminded me almost of a cheese platter; hearty flavors cut and lifted by the sweetness and acidity of the fruit. 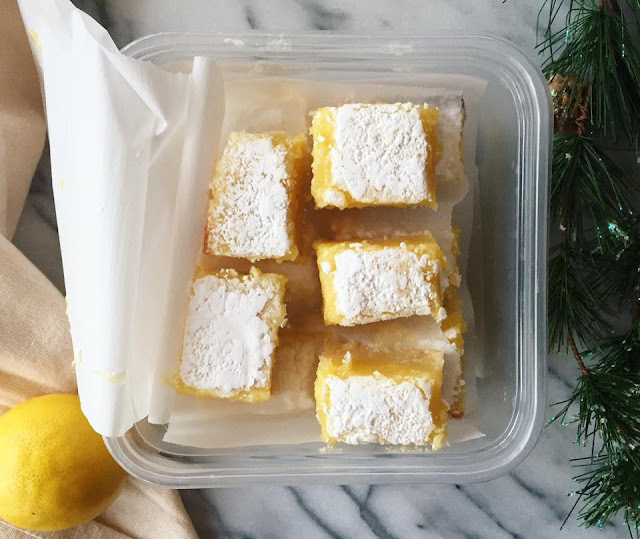 If you're feeling adventurous, or just don't like ultra sweet cake, this is the one to try! 25 g (2 tablespoons) sugar-in-the-raw (turbinado). 1) Preheat oven to 350 F. Butter and line the bottom of a 8'' springform pan with parchment paper. 2) In a large bowl, mix together the flours, baking powder, and salt. 3) In another bowl, beat the butter on medium-high with an electric mixer until pale and fluffy, then pour in the olive oil and continue to beat on medium until well combined. Add the sugar and continue to mix until light. Then add the eggs, vanilla extract, and almond extract. Mix till smooth. Turn the speed to low, and slowly add in the flour mixture. Blend slowly till smooth. 4) Pour the batter into the prepared tin and smooth with a spatula. Arrange the plums in concentric circles. Sprinkle sugar-in-the-raw on top. 5) Bake for 40-50 minutes, or until it slightly pulls away from the sides. If you (like me) have trouble getting the top layer of sugar to melt, try sliding the cake onto the top wrack of the oven, or use a blow torch, if available.